As an NAIS member and CAIS-accredited independent school, Seven Hills is a 501(c)(3) non-profit organization governed by an independent, self-perpetuating Board of Trustees. Trustees determine the Seven Hills mission and strategic goals, and also act as fiduciaries for future generations of Seven Hills students—exercising oversight of the school’s financial health, approving the school’s annual budget, and overseeing the school’s physical assets and fundraising efforts. Importantly, the Board selects, evaluates and supports the Head of School. The Board does not get involved in the day-to-day affairs of the school, disciplinary or personnel issues, or admissions decisions—which are the responsibility of the Head of School. In short, the trustees act as stewards of the school, while serving as ambassadors of the Seven Hills mission. Please click here to read more about the work of the Board of Trustees. Jamil works as a Project Manager for Kaiser Permanente, and has experience in consulting, economic development, entrepreneurship, vendor management and customer support. He has spent time serving as a volunteer through the Rotary Club of Oakland and as a Board member of various non-profits covering services such as: music, dance, education, homeless children, visual arts and leadership education. When not working, Jamil plays soccer and referees his kids' soccer games. He has one Seven Hills alumna and one current student - and is an active parent in classroom activities and field trips. Currently serving as Treasurer of the Board and Chair of the Finance Committee, Pat is Executive Vice President and Group President of McKesson Technology Solutions. He has overall responsibility for all of the businesses within McKesson Technology Solutions. Prior to his current position, Blake served as president of McKesson Specialty Care Solutions, a business unit that delivers services to manufacturers and providers to ensure specialty pharmaceutical products, coordinated reimbursement and clinical services are available to patients with complex diseases. In 1999, he was named president of McKesson Health Systems, and in 2001 he was elevated to president of customer operations for McKesson U.S. Pharmaceutical. Prior to joining McKesson, Blake held leadership roles at Baxter International, Inc., and American Hospital Supply Inc. He earned a B.A. in economics from Denison University, Granville, Ohio and an MBA from the Graziadio School of Business and Management at Pepperdine University. Pat and his wife, Ali, have one child in Kindergarten and another in 1st grade, and Pat’s three older children are graduates of Seven Hills. Currently serving on the Marketing Committee, Annette is a Director and Chief Compliance Officer at KKR Credit Advisors (US) LLC (KCA), a global investment management and advisory firm, and a wholly-owned subsidiary of Kohlberg Kravis Roberts & Co L.P. (KKR). With KKR since 2009, she is responsible for the administration of the KCA compliance and ethics program, and regulatory obligations. Previously, Annette was a Senior Vice President and Deputy Director of Compliance for the Private Investment Management division of Lehman Brothers Holdings Inc./Barclays PLC. In 2012, she joined the Board of Visitors for the Political Science Department of Pennsylvania State University. Annette holds a B.A. in Political Science from Pennsylvania State University and a Juris Doctor from Oklahoma City University School of Law. She and her husband, Chris, live in Orinda with their two sons - one current Seven Hills student and one recent graduate. Paul is Vice President of Strategy & Emerging Business for the John Muir Health Physician Network (JMHPN), the ambulatory division of John Muir Health. Paul has overall responsibility for development and execution of John Muir Health’s ambulatory physician strategy, as well as operational accountability for John Muir Health’s physician-facing business functions, including Physician Services, Provider Talent, and Physician Contracting. Prior to his role with JMHPN, Paul practiced for seven years as a healthcare regulatory and transactional attorney. Before practicing law, Paul worked as a management consultant with McKinsey & Company and as a research project manager with Dr. Molly Coye’s Health Technology Center. Paul received his bachelor’s degree in religion from Princeton University, and his law degree from Georgetown University with an emphasis in healthcare economics. Paul and his wife, Christa, have a set of delightfully spirited twin girls in Kindergarten. Paul enjoys spending time with his family, running and cross-training, and finding new problems to solve. Candace is the Chief Operating Officer at Monti Kids, a Montessori-inspired educational toy program for infants and toddlers. She manages all business operations including international manufacturing, e-commerce, finance, customer service, and HR. Previously, Candace was co-founder and President of H2ORS, a medical grade electrolyte drink used primarily by athletes and cancer patients for dehydration. In 2007, she co-founded Crimson Hexagon with Harvard professor Gary King, and as CEO successfully launched one of the world's leading social media analytics software platforms. Prior to her entrepreneurial efforts, she focused on supply chain and operations optimization at large and small companies, including HP, Agilent, and Mercer Management Consulting. Candace holds bachelor’s degrees in industrial engineering and English from Stanford and an MBA with distinction from Harvard Business School. She and her husband, Lee, live in Orinda with their daughter who is a Seven Hills alumna and son who is a current student. Currently serving on the Finance Committee, Laura is the Managing Partner of McKinsey & Company’s San Francisco office. She serves clients in the pharmaceutical, biotechnology, medical device, and insurance sectors across the U.S., Europe and Asia. Laura is a leader of McKinsey’s North America Women's Initiative, has authored articles in international journals including Nature, and speaks at healthcare and women’s leadership conferences. She earned her A.B. from Harvard University and a Ph.D. in Cancer Biology from Stanford University School of Medicine. Laura and her husband, John, live in Lafayette and are parents to a Seven Hills graduate and a current student. Currently serving on the Marketing and Development Committees, John is a Managing Director in Accenture's Communications, Media and Technology practice. He leads Accenture's Management Consulting group for the Pacific Region in addition to overseeing Accenture’s relationships with a number of Bay Area High Tech clients and also serves as the Northern California Location People Lead. John has over 20 years of experience at Accenture, working with communications and high-tech clients across the United States and abroad. His specialty is helping clients move to new business models and managing complex transformation efforts. John graduated from Pomona College and stays engaged in campus activities in an advisory role for Career Development and Advancement. John and his wife, Cookie, have two sons - their oldest graduated from Seven Hills in 2016 and their youngest attends Seven Hills Middle School. Khira joined UC Berkeley in June 2016 as Associate Chancellor and Chief Ethics, Risk and Compliance Officer. In this role, she manages the risk portfolio for the University and provides strategic and operating guidance to the Chancellor and the leadership team. Prior to joining UC Berkeley, she served as the Director of Operations and Professional Development for McKinsey and Company’s West Coast Office. In this role, she had oversight of all of the administrative and operating functions for McKinsey’s San Francisco, Silicon Valley, Seattle, and Southern California locations. Khira also has experience in school administration (as the CFO for the Athenian School and Chief of Staff for Administration and Finance at UC Berkeley), public finance (as a Vice President, Public Finance with JPMorgan), and management consulting. Khira holds an MBA from Stanford University as well as an M.A. in Education from Stanford University. Khira graduated from Harvard University with a B.S. in Mechanical Engineering. Khira, John, and their three children live in Lafayette with their two turtles, ten fish, and their pesky dog, Charlie. Currently serving on the Finance and Development Committees, Julie is partner and CFO at Bridge Partners, a locally-headquartered real estate investment firm. With Bridge since 2001, she is responsible for the firm's tax strategy and compliance for its investment entities, across 18 states. Julie also manages the investment life cycle for the firm - from formation and capitalization through liquidation and dissolution. To her work, Julie brings expertise in meeting the needs and mobilizing the resources of its stakeholders: institutional and high-net worth investors, lenders and creditors, employees and tenants, and third-party service providers. She was a legislative aide for House and Senate congressional leaders in her early career before becoming a real estate investment analyst and acquiring land for real estate development. Julie earned her B.A. from Stanford University and an M.B.A. from UC Berkeley's Haas Business School. 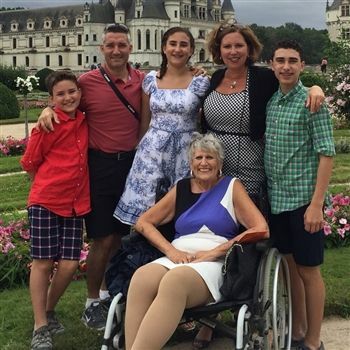 She and her husband Peter live in Lafayette with their two children - their oldest graduated from Seven Hills and their youngest attends Seven Hills Middle School. Member since 2011, former Chair of the Board from 2014-2018. Sameer is co-founder and Chief Operating Officer of vCom, an IT management software and professional services firm. He has 20 years of technology consulting and management experience, supporting national enterprises across varied industries that include healthcare, legal, technology and financial services. Sameer earned his bachelor's degree in Physics with a minor in Biology from Boston University. He and his wife, Melissa, have two graduates from Seven Hills, and one student in Middle School. Member since 2013, currently serving as Chair of the Board. Matt's diverse career has ranged from an investment professional in the public and private equity markets to advisory and senior operating roles within the branded consumer products, business services, financial services, manufacturing and retail sectors. He is currently the Managing Director of Servco Pacific Capital, which is the direct investment arm of Servco Pacific, Inc. (“Servco”). Established in 1919, Servco is the fourth largest business in the state of Hawaii and the holding company has diversified interests in the United States, Australia and Asia. In his role, Matt leads Servco’s private equity group as well as the corporate strategy and development activities of the holding company. Servco’s current investments include joint ownership of Fender Musical Instruments (“Fender”), the world's largest electric guitar and amplifier company. Since 2001, he has held various roles with Fender, from investor and board member to President and COO. Previously, he was a General Partner with Weston Presidio, a San Francisco-based private equity firm. Matt earned his B.A. in Economics from Duke University and his M.B.A. from the University of Chicago. He and his wife, Marissa, are parents of two Seven Hills students in the Lower and Middle Schools. Alex is a senior client partner at Google focusing on large technology companies driving collaborative digital partnerships, leveraging the best of Google's offerings including AI, ML and Cloud-based marketing. Prior to Google, Alex spent 14 years with AOL leading media sales across key CPG, Finance, and Retail clients in New York and San Francisco. Alex attended both Cal and UC Irvine where she ultimately earned her BA in Biology and Economics. She also serves on the advisory board of Party In-Kindness, a local charity those mission is to turn any celebration into a reason to give back to the East Bay community. Alex and her husband, Cornel, live in Diablo with their two boys, both in the Seven Hills Lower School. Member since 2012, currently serving as Chair of the Marketing Committee and on the Committee on Trustees. Mackenzie taught 4th and 5th grade before serving as a curriculum specialist in the Walnut Creek School District. She recently co-chaired Walnut Creek's year-long Centennial Celebration and has chaired the Arts Access committee and the annual fundraising gala for the Diablo Regional Arts Association at the Lesher Center for the Arts. She served as President and Board member of the Junior League of Oakland-East Bay. Mackenzie earned her B.A. in Political Science from the University of California Berkeley and a multiple subjects teaching credential from St. Mary's College. Mackenzie and her husband Steve are parents to two boys, both Seven Hills students. 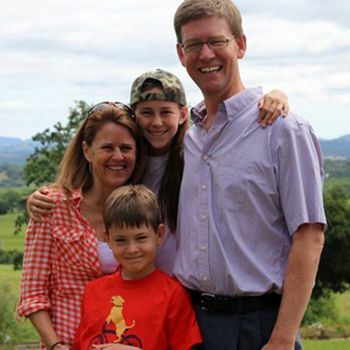 Patrick is Managing Partner of Primarius Capital, a family office that manages public and private investments. Patrick is also Chairman of Promet Therapeutics, a biotech company focusing on drugs for Krabbe Disease and concussion treatments (CTE). In addition to Primarius and Promet, Patrick guest lectures and coaches students from top universities and is active with Christian Layman Church in Oakland, where he met his wife, Darlet. Prior to forming Primarius Capital, Patrick spent 20 years on Wall Street including Goldman Sachs, E*Offering, and Robertson Stephens & Co. where he helped with Pre-IPO & IPOs of growth companies such as Pixar and E*Trade. Patrick holds an MBA from Kellogg Graduate School of Management and a Bachelor of Science in Business Administration from the University of Southern California. He has been married to his wife and business partner, Darlet, since 1997, and they have two children, one at Seven Hills. Rob Little is a Managing Director and the Chief Operating Officer of Golden Gate Capital, which he joined in 2010. Mr. Little oversees the firm’s investments in the financial services sector as well as the firm’s operations. Prior to Golden Gate, Mr. Little was a Director at Hellman & Friedman. Previously, from 2001 to 2008, he served as a Vice President in Goldman Sachs & Co.’s Investment Banking Group in New York and San Francisco. Mr. Little began his career as an officer in the U.S. Navy. He holds an MBA from Duke University and a B.A. in English from the University of Notre Dame. Matt is a Managing Director and the global head of web technology for BlackRock, the world’s largest asset manager with nearly $5 trillion in assets under management. He is responsible for designing, developing, and maintaining the firm’s web properties that serve clients in 37 countries. Prior to joining BlackRock, Matt held senior fintech roles at a number of large financial institutions. Matt earned a B.S. in Economics from California Polytechnic State University at San Luis Obispo. He serves on the Dean’s Advisory Council at the Orfalea School of Business at Cal Poly. 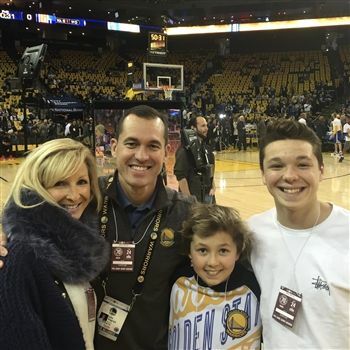 Matt and his wife, Kamin, live in Walnut Creek and have three daughters - two Seven Hills alumna and one current student. Ronke is a small business owner of a Management Consulting firm, named ADOLAtunji Consulting Services. She has over 20 years of internal auditing and accounting experience that spans across the healthcare, manufacturing, education and financial services industries. Ronke currently helps small businesses and large organizations with any accounting, operational and process implementation/improvement needs. Most recently, Ronke was the Director of Business Services and campus Chief Business Officer at Los Medanos College, part of the Contra Costa Community College District, where she was responsible for oversight of the finance and administrative functions of the college. Prior to that, she was the District’s Director of Internal Audit, where she re-established the Internal Audit Department and refocused its role from being reactive (investigative) to proactive (risk and process/control focused). She is a Certified Internal Auditor (CIA) and earned her B.Sc. in Business Administration and Accounting from Cal State East Bay and MBA in Organizational Leadership from Chapman/Brandman University. When Ronke is not working on her consulting business, she enjoys blogging, crafting, making jewelry and hanging out with family. 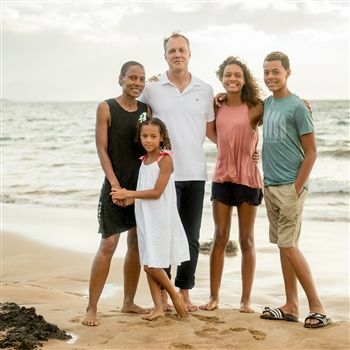 Ronke and her husband, Ernie are parents of one Seven Hills alumna, a daughter in Middle School, and a two-year old. Seiyonne currently serves as Mobitor’s Vice President of Business Development, in charge of developing and executing strategies to grow revenue within established and emerging markets. He also leads Mobitor’s finance and marketing segments. Prior to working with Mobitor, Seiyonne was part of Deloitte Consulting’s Strategy and Operations practice. While at Deloitte, he helped Fortune 500 companies map out their growth and expansion plans. His experience spans the automotive, medical device, retail, grocery and life sciences industries. Notable projects included a new vehicle launch, international expansion, health care digitization, and non-profit public school development. He also led undergraduate recruitment for both UCLA and USC. Seiyonne graduated from the University of Southern California’s Marshall School of Business with a degree in business administration and a joint concentration in Strategy and Entrepreneurship. He is a Seven Hills alumnus from the class of 2002. Lisa is Principal and Office Litigation Manager of Jackson Lewis PC’s San Francisco office, a law firm that provides premier workplace law representation to management, and includes leading practices in the areas of government relations, healthcare and sports law. In addition to her litigation practice, Lisa regularly provides strategic advice and counsel to employers to help them navigate through California and federal employment laws in the hopes of avoiding litigation. Lisa has spent time serving on the Board of Las Trampas, Inc., a residential school and adult day program for individuals with moderate to profound developmental disabilities located in Lafayette. She and her daughter also devote substantial time volunteering through National Charity League. She earned her B.A. from U.C. Berkeley and her J.D. from the University of San Francisco. Lisa and her husband John live in Lafayette, with their daughter (Seven Hills Class of 2017), son and puppy. Kirsten has been in the commercial real estate industry via property management for 20 years with experience in construction, accounting, financial analysis, marketing, promotions, team management, training, technology, engineering, legal, and customer service. She is known for solving challenges creatively, managing change effectively, and communicating in a way that resonates with the audience. Kirsten has also served on two professional association boards and a community committee supporting an early child development center. She is a graduate of San Diego State University with a B.S. in operations and production management. 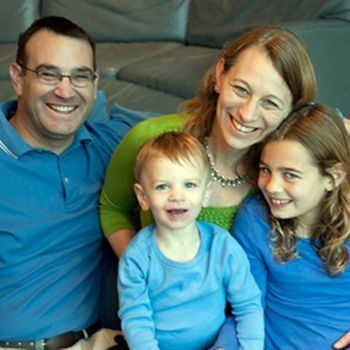 Kirsten and her husband have three children – one Seven Hills alumna and two current students.